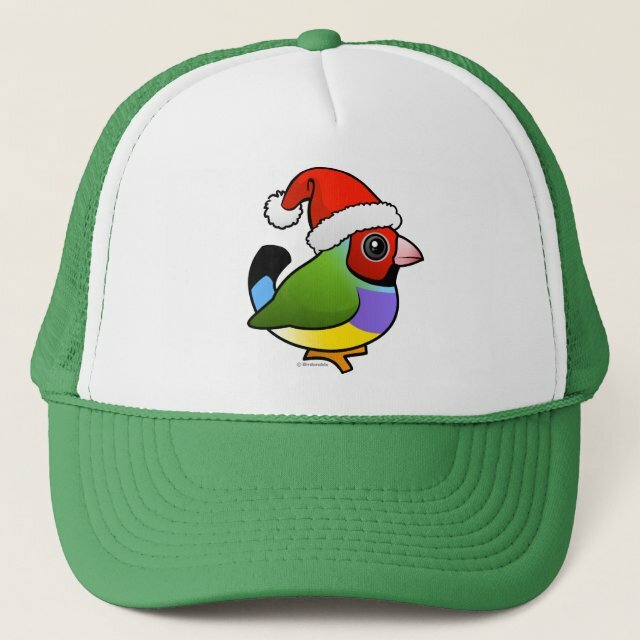 There's not much cuter than a Birdorable Gouldian Finch, but a Birdorable Gouldian Finch wearing a Santa Claus hat sure is. You can totally customize this gift! Move the design around, change the color or style, add your own text or images -- make it your own! Cover your head with this original hat or give one to your favorite trucker. Available in 11 colors. Made with a 100% polyester foam front and a 100% nylon mesh back keeps you cool. Adjustable from 17 to 24 inches.